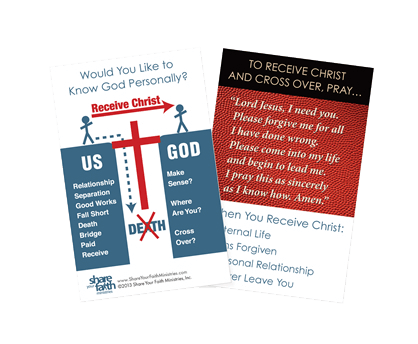 Training DVD, led by Kent Tucker, conducts the four one-hour personal evangelism training session for you; leaders simply facilitate the group meetings. 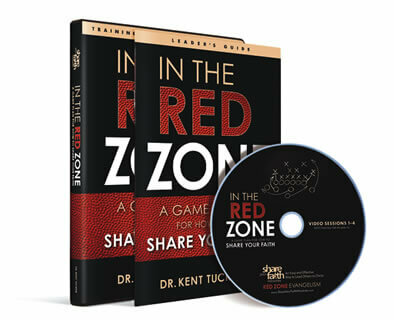 The DVD features four training sessions, “how-to” demonstrations, and promo video. 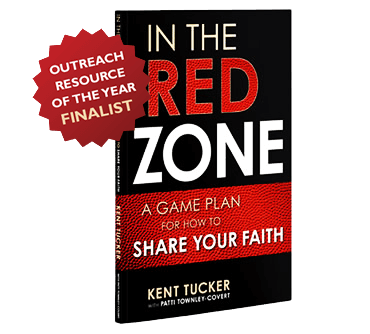 The Leader’s Guide, included with the DVD, takes the guesswork out of effectively planning and facilitating the group training session. 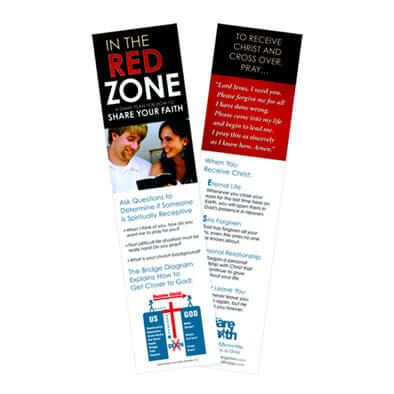 The Participant’s Guide is fully integrated with the DVD and contains detailed instructions, valuable Bridge Diagram visuals, individual learning activities and practice diagrams for each participant. 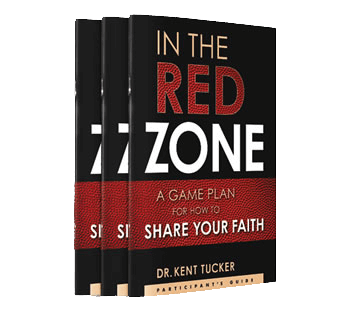 The Red Zone Bookmark is a handy tool for your bible or reading book to keep before you the vision of Red Zone Evangelism—identifying people who are receptive to God, how to lead them to Christ and give them assurance of what God has done in their life.